The April 24, 1984, edition of the British defense publication Jane’s Defence Weekly informed its readers: “Iran is engaged in the production of an atomic bomb, likely to be ready within two years, according to press reports in the Persian Gulf last week.” Subsequent warnings from U.S. and foreign sources about Iran’s imminent acquisition of a nuclear weapon have been offered over the past four decades. These false guesses are worth bearing in mind as news from the P5+1 nuclear negotiations in Lausanne, Switzerland emerges. To repeat: Iran does not currently have a nuclear weapons program, nor does it possess a nuclear weapon. So when a politician, analyst, or pundit mentions an Iranian “nuclear weapons program” they are referring to a program that the IC is not aware of. Moreover, if possible, tell them to contact the Central Intelligence Agency through its “report threats” website to let the agency’s nonproliferation analysts know about whatever secret information they are basing their judgment upon. Iran signed the Treaty on the Non-Proliferation of Nuclear Weapons (NPT) on July 1, 1968. 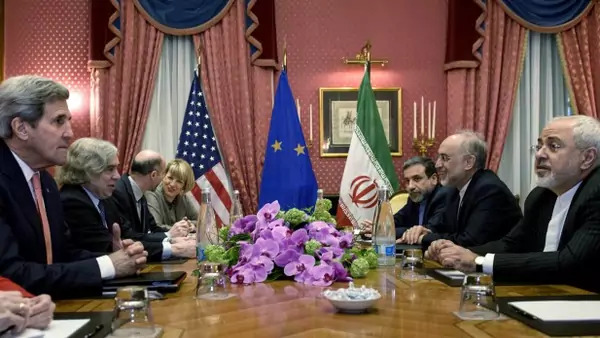 Under the NPT, Iran agreed that it was a non-nuclear weapon state party, which prohibits Iran from receiving, manufacturing, or otherwise acquiring nuclear weapons or nuclear explosive devices. Furthermore, like most other non-nuclear weapons, states parties to the treaty, Iran entered into a NPT Safeguards Agreement with the International Atomic Energy Agency (IAEA), which it did in May 1974. The crux of the twelve-year dispute between Tehran and the IAEA is whether and to what extent Iran is in violation of its NPT obligations and UN Security Council resolution demands. As IAEA director generals have repeated, most recently last week by Yuki Amano, the inspection agency has never received adequate clarifying information about the “possible military dimensions” of Iran’s nuclear program. While Iran has no bomb or nuclear weapons program, nine other countries do, including five that also signed the NPT. Under the treaty, the five signatories pledge to “pursue negotiations in good faith on effective measures relating…to nuclear disarmament.” So while the world is focused on the nonproliferation requirements of a country with zero bombs, keep in mind the promises that remain unfulfilled from those countries with 9,835 of bombs, as well as the four countries that are nuclear outliers.